Amongst the riot of color found on bookshelves in bookstores, black & white can really catch your eye. 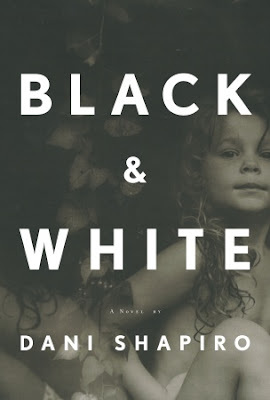 That's the case with "Black and White," Dani Shapiro's novel about a mother who reaches the heights of the art world by taking (what some view as) exploitative photographs of her three-year old daughter and the rift that opens between them as a result. I was struck by how simple and elegant this cover is; check it out in person. The plot of the book clearly draws on Sally Mann and her children, so I don't know why I'm surprised that the cover seems to be using an actual Sally Mann photo. I forgot to mention the Sally Mann connection / inspiration. Thanks!